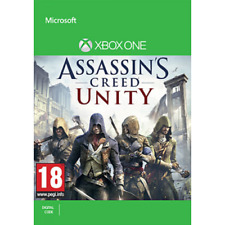 Assassin's Creed Unity Xbox One. For XBOX ONE. XBOX ONE CONSOLES. XBOX ONE ACCESSORIES. Write your own legendary Odyssey and live epic adventures in a world where every choice matters. - FIGHT EPIC BATTLES - Demonstrate your extraordinary warrior abilities and shift the tides of battle during the Peloponnesian War. Engage all your military missions in whatever order and manner suits you: stealth, distraction, and tactical or frontal assault always remain possible. Use the new iconic drones to recon the toughest terrains and. Experience the French Revolution first hand in Assassin's Creed (AC) Unity. Play alone, or team up with up to three other friends via online co-op to get the job done in Assassin's Creed Unity. 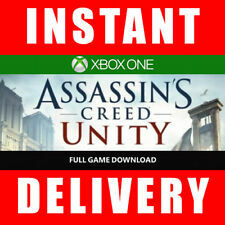 Assassin's Creed Contains Code only to download in full. Watch_Dogs, the open-world franchise of paranoia, hackers and a dystopian near future is back on our screens. The future is yours for the taking! Hidden in the towering Himalayas lies Kyrat, a country steeped in tradition and violence. You are Ajay Ghale. FAR CRY PRIMAL. New, still sealed and unopened. This is the UK PAL version. Still sealed in cellophane with security tape in place. Hidden in the towering Himalayas lies Kyrat, a country steeped in tradition and violence. You are Ajay Ghale. Here, every decision counts, and every second is a story. XBOX ONE > First Person Shooter. 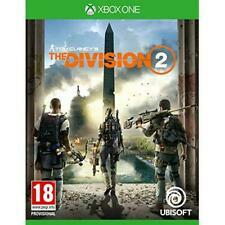 Tom Clancy's The Division (Xbox One). Condition is Like New. Dispatched with Royal Mail 1st Class Large Letter. Join a community of more than 120 million players around the world, and bust out your best moves! Anyone and everyone can Just Dance. The youngest players will have a blast with the most fun dance playground: the Kids mode! FIGHTER WITHIN.on XBOX ONE.FIGHT FOR THE RESPECT OF YOUR FRIENDS. Defy your best mates! 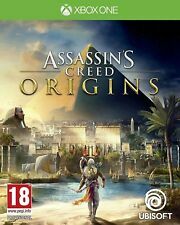 Assassin's Creed: Syndicate (Microsoft Xbox One, 2015). Condition is Very Good. Dispatched with Royal Mail 1st Class Large Letter. Far Cry 5 (Xbox One). You are the hero of the story in a thrilling world that hits back with every punch, and where the places you discover and the locals you ally with will shape your story in ways you’ll never see coming. 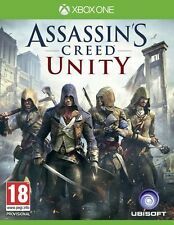 Assassin's Creed: Unity (Microsoft Xbox One, 2014). Condition is Very Good. Dispatched with Royal Mail 1st Class Large Letter. 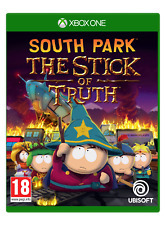 This highly anticipated sequel features more than twice the amount of content than South Park™: The Stick of Truth. 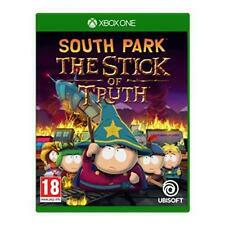 Created, written, voiced, and directed by Trey Parker and Matt Stone, South Park The Fractured but Whole is authentic, interactive South Park at its finest – hilarious, outrageous, and a whole lot of fun. The Crew 2 Xbox One. Condition is New. Fast and free dispatched with Royal Mail 1st Class Large Letter. Far Cry 4 -- Limited Edition (Microsoft Xbox One, 2014). Condition is Very Good. Disc in mint condition, booklet in excellent condition. Case has slight damage to the plastic cover (see image) case has minor surface marks. Dispatched with Royal Mail 1st Class Large Letter. Assassin's Creed: Syndicate (Microsoft Xbox One, 2015). Condition is Very Good. Dispatched with Royal Mail Signed For® 1st Class Large Letter. Always On, Always Live! XBOX ONE CONSOLES. XBOX ONE ACCESSORIES. 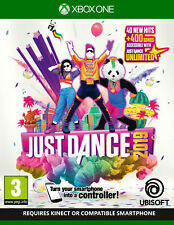 • With Just Dance Unlimited, the dance-on-demand subscription streaming service, you have access to 400 songs and more! • And the 40 new songs are also available on old-gen consoles! Assassin's Creed III has been remastered for the PlayStation®4 systems, Xbox One and PC. Shocked into action by the devastation of your village, you pledge your life to the cause of freedom, and embark on a decades-long quest to achieve it. In Watch_Dogs, Ubisoft's open-world thriller that has been hyped to the moon and back, you play as Aiden Pierce, a hacker in Chicago on the hunt for his niece's killer. Yes, it's an open-world thriller. Join over 100M players and dance to your favorite songs. Just Dance 2016 Xbox One. XBOX ONE CONSOLES. XBOX ONE ACCESSORIES. Seven months have passed since a deadly virus hit New York City and the rest of the world, crippling the population. Since then, Division agents have been fighting relentlessly to save what remains. 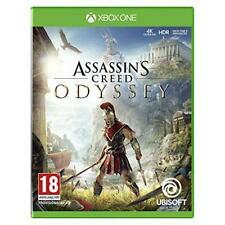 For the Microsoft Xbox One Console. 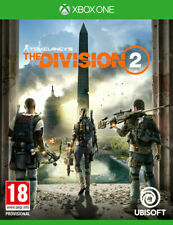 TOM CLANCY'S THE DIVISION 2. Far Cry 4. For Xbox One. TOM CLANCEY'S: THE DIVISION.on Xbox One.WHEN SOCIETY FALLS - WE RISE. Far Cry: Primal (Microsoft Xbox One, 2016). Condition is Good. Dispatched with Royal Mail 1st Class Large Letter. "FAR CRY NEW DAWN". 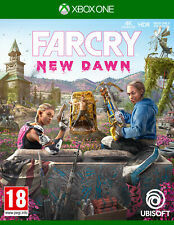 Xbox One Far Cry New Dawn. Microsoft Xbox One. (Compatible With Xbox One Only). Xbox Single Player. Xbox One X Enhanced. Xbox Live Co-op Multiplayer 2. Tom Clancy's Rainbow Six Siege (Microsoft Xbox One, 2015). Condition is Good. Dispatched with Royal Mail 1st Class Large Letter. Assassin's Creed: Syndicate. For Xbox One.